Everything started in the year 1950 when Sally Hansen and her husband created nail protection formula called Hard As Nails which is still the bestseller. From that time Sally Hansen has developed into the leading brand of nail care and coloring, offering not only nail care products, but also beauty tools and cosmetics for whole body. All of Sally’s Hansen’s products are made by using innovative technologies and fashion trends, and they incorporate the latest treatment technologies. These Sally Hansen hair styling shears are made of stainless steel which does not rust, extending their lifetime. As they do not rust, they stay aesthetic for longer period of time. Both of blades are razor edge blades which are known as extra sharp edges which provide fast, smooth and precise cut. This Sally Hansen product is 6 inches long and 0.8 ounces lightweight, so they are comfortable and easy to use. Unfortunately, these hair cutting shears do not have tension adjustment screw for tension adaption, rubber finger inserts for better fit and comfort, as well as storage case for safer and more comfortable movement. They have finger rest for discomfort relief, but it is non removable. Considering that, these hair scissors have cushioned stopper between finger rings, they are not only quiet, but also stable. Another feature of this Sally Hansen product is lifetime warranty which shows the quality of these scissors. As these hair cutting shears are made of stainless steel, they are silver color with slight sheen. Sheen of these scissors can be described as satin sheen, because it is slightly matte, not so sheeny as mirror. There is Sally’s Hansen’s name on one blade of shears. Despite the fact these hair cutting shears are shears of professional grade, they are more suitable for hairdressing amateurs and students. You can use such hair cutting techniques as blunts, bangs and layering with them. These Sally Hansen Beauty Tools Hair Styling Shears are meant for hair cutting and are suitable both for professionals and amateurs. As these hair scissors are made of stainless steel, they are silver color with satin sheen. Both of their blades are razor edge hollow ground blades. This Sally Hansen product’s length is 6 inches, but its weight is 0.8 ounces. They do not have tension adjustment screw, finger inserts and storage case, but they do have non removable finger rest. 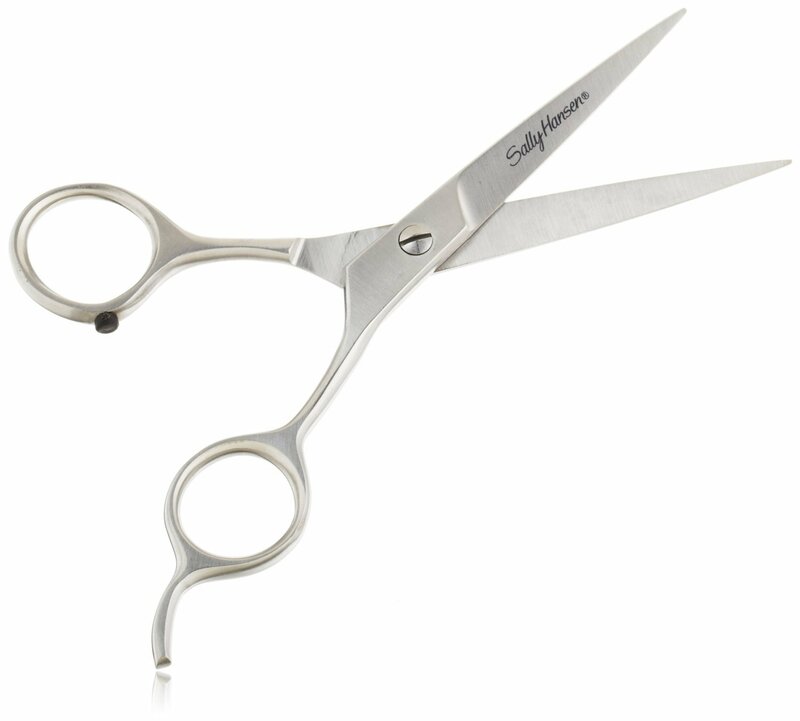 These Sally Hansen scissors can be used by professional hairdressers and hairdressing students, performing such hair cutting techniques as blunts, bangs and layering. It is important that this product has lifetime warranty, so you do not have to worry about their quality.